Rural Apartment located in a natural environment in front of the patron saint of Cantabria and only 15 km from Laredo Beach, it has 2 bedrooms, bathrooms, living room with sofa bed and equipped kitchen. The apartment has sheets, blankets and towels. It offers travelers tipia total building area in wood and stone over 100 years old and renovated in May 2012. 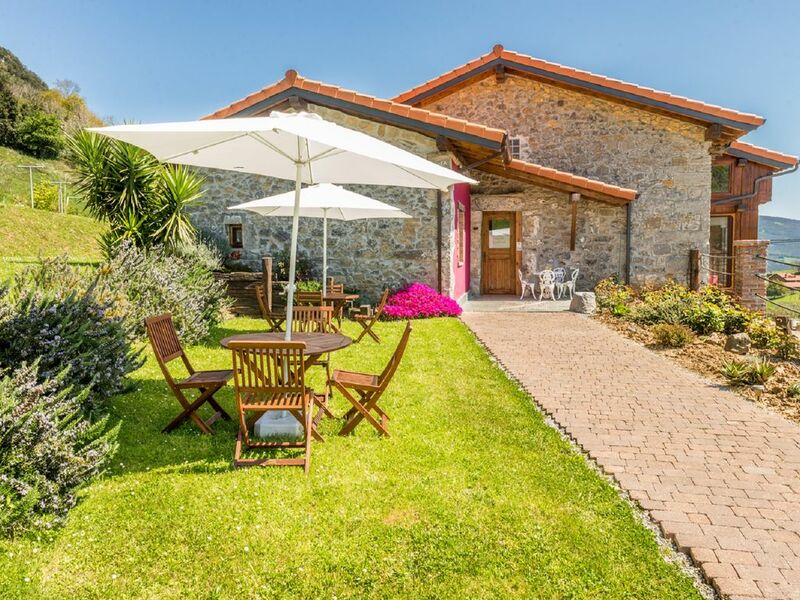 The apartment is located in front of the patron saint of Cantabria, surrounded by a natural environment in which there is even the livestock and just 15 km from the beach in Laredo. It is advisable to relax, enjoy nature and visit the hinterland. Irene was a very helpful and attentive host. The apartment was clean and comfortable and in a good location to explore both Santander and Bilbao. The local beaches were excellent.